Digital Analysis of your Representative in Digital India! fasten but also it helps in increasing the living standard of the common man. leader and on any political party. effect or of political reason should be brought in front of the public. desire is pure politics for better tomorrow’. 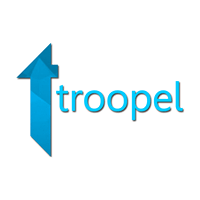 Troopel will connect with you or you may connect with it. Previous page Previous post: Mahindra BAJA SAEINDIA 2018 successfully concludes Eleventh Edition! Next page Next post: When The Going gets Tough, The Tough get Going!